The JTS UA-960 is a full range UHF antenna splitter that routes antenna signals from a pair of antenna to several receivers in a multi-channel system. The UA-960 also amplifies the RF signals to compensate the loss incurred from splitting signal power. 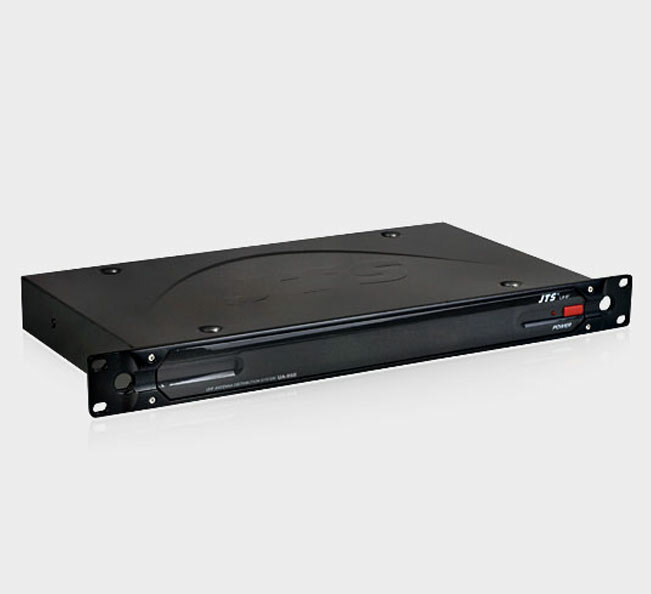 Bulit-in DC distribution provides four DC 12V power supply for receivers. A single UA-960 can support up to four wireless receiver. Multiple UA-960 can be cascaded for more wireless receivers. 1 extra BNC socket that can be easily cascaded with another antenna distributor.